Looking for tips to make more sales and grow your business? Enter your email above—help is on the way! After 15 years building online shops, I know that the key to growth is fairly simple. But just because the answer is simple doesn’t mean the process to get there is easy or obvious. 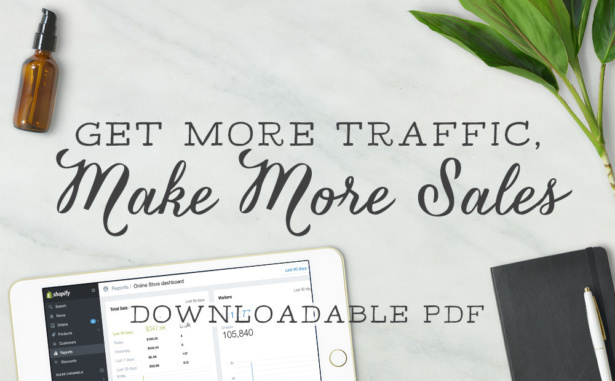 Luckily, I’ve discovered that there are 5 main ways to grow your traffic and 5 main areas to improve your website to boost sales. Sign up above to get the 10 things to do to make your business work online, and receive my best tips by email. How Much Traffic Can You Expect? Should You Focus On Traffic First, or Conversion First?